The Getty Center, in Los Angeles, California, is a campus of the Getty Museum and other programs of the Getty Trust. The $1.3 billion Center opened in 1997 and is well known for its architecture, gardens, and views overlooking Los Angeles. The Center sits atop a hill connected to a visitors’ parking garage at the bottom of the hill by a three-car, cable-pulled hovertrain funicular. 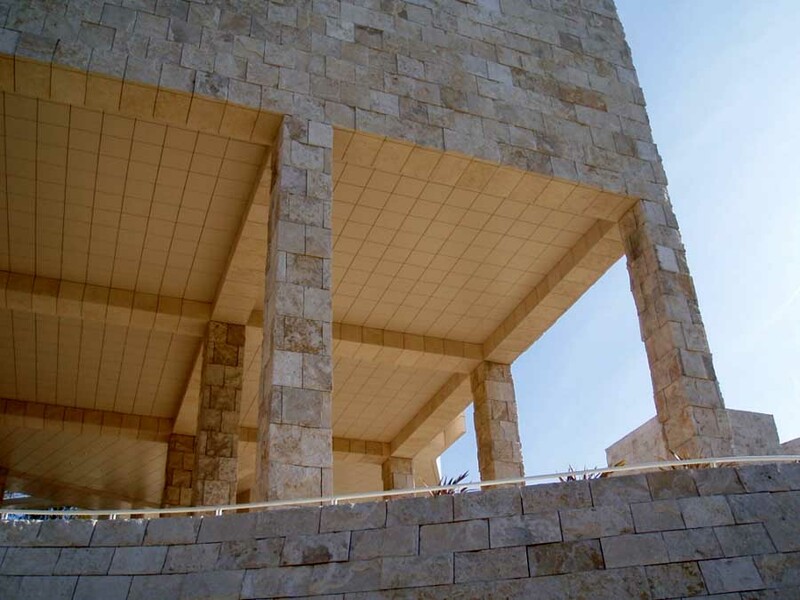 Located in the Brentwood neighborhood of Los Angeles, the Center is one of two locations of the J. Paul Getty Museum and draws 1.3 million visitors annually. (The other location is the Getty Villa in the Pacific Palisades neighborhood of Los Angeles, California.) The Center branch of the Museum features pre-20th-century European paintings, drawings, illuminated manuscripts, sculpture, and decorative arts; and 19th- and 20th-century American, Asian, and European photographs. 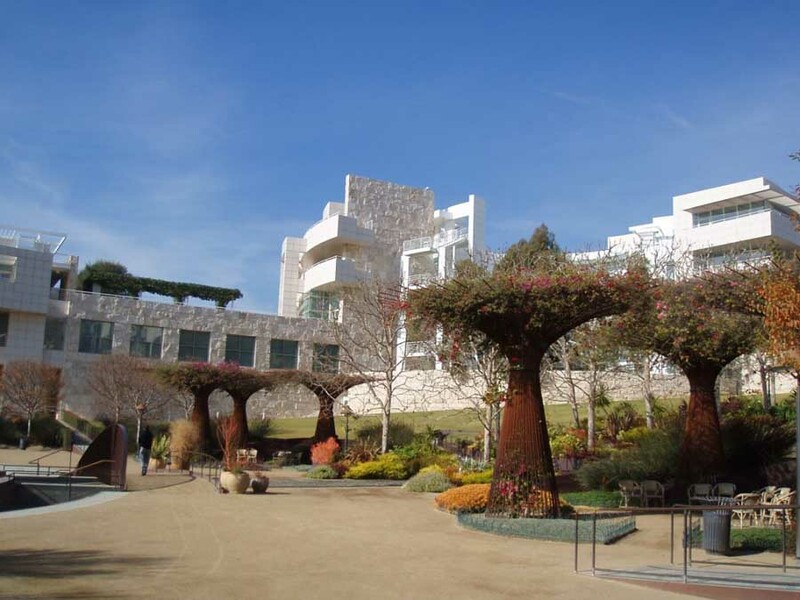 In addition, the Museum’s collection at the Center includes outdoor sculpture displayed on terraces and in gardens and the large Central Garden designed by Robert Irwin. Among the artworks on display is the Vincent Van Gogh painting Irises. 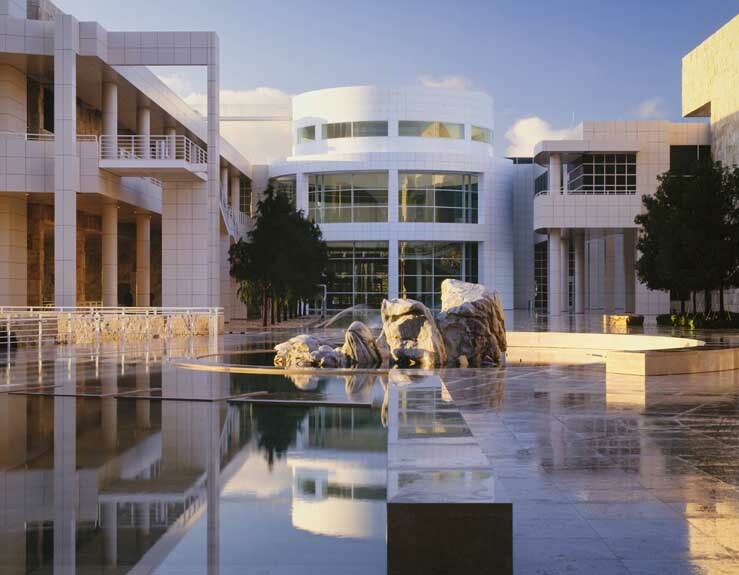 Designed by world-famous architect Richard Meier, the campus also houses the Getty Research Institute (GRI), the Getty Conservation Institute, the Getty Foundation, and the J. Paul Getty Trust. The Center’s design included special provisions to address concerns regarding earthquakes and fires. 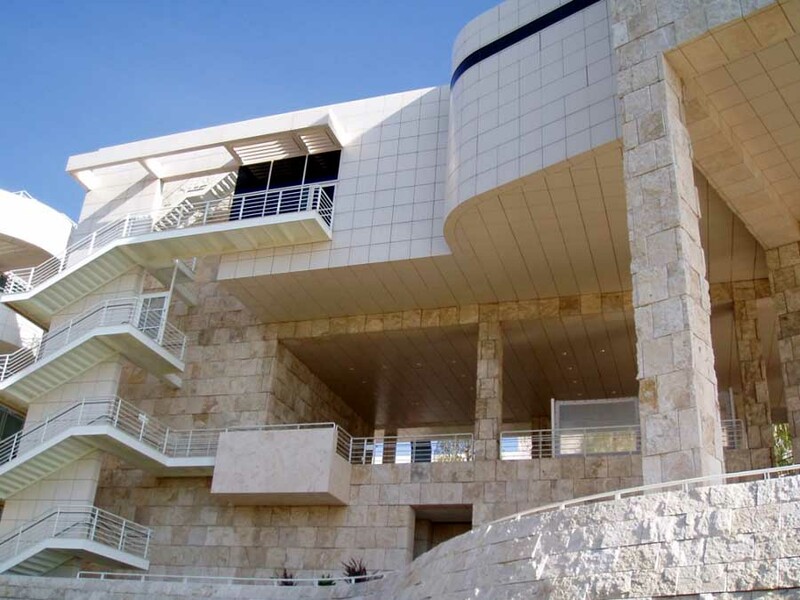 LOS ANGELES — Since opening its doors in 1997, the Getty Center has welcomed more than 20 million visitors and become a cultural destination that has played a key role in helping Los Angeles become an important leader in the arts. Envisioned in the early 1980s as a way to bring together the Getty’s programs, properly exhibit the collection which had outgrown its previous home in Pacific Palisades, and create an inspiring public setting for the study and enjoyment of the visual arts, the Getty Center was designed by architect Richard Meier, and features the Central Garden created by artist Robert Irwin, as well as sweeping views of Los Angeles and the Pacific coast. The Getty Center is home to the Getty Conservation Institute, Getty Foundation, J.
and public programs have given Los Angeles some of its most dramatic art experiences. conservation, scholarship, and exhibitions on virtually every continent. its libraries, laboratories, galleries, and workshops. modern paints, plastics and outdoor sculpture. organizations responsible for the conservation of the world’s cultural heritage. Latino art in dialogue with Los Angeles opening September 2017.
and used by the entire museum community. Africa, thus increasing the capacity of their institutions. photography from its beginnings to the present, gathered internationally. century; and French painting of the 18th and 19th centuries. and Los Angeles, an important center for the study of photographs. the Getty’s distinguished and growing collection of more than 800 European drawings. Leonard do Vinci, Michelangelo, Rembrandt, Fragonard, Van Gogh, and Seurat. departure area at the bottom of the hill. the world. Paintings from the collection are also on view in the decorative arts galleries. of all ages to discover a world of wonders, delights, and hands-on activities. scholars each year, who conduct research and public lectures on a single theme. varied audience from two locations: the Getty Center in Los Angeles and the Getty Villa in Malibu.